For this week's DIY, we're teaching you how to automatically upgrade your home or work space. Take a look at how we've been adding class and elegance to many of our platforms and vases- and how you can, too! 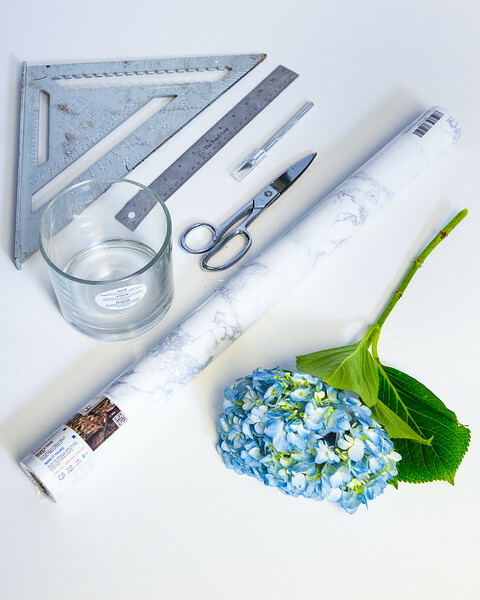 Before we even dive into all of the amazingness that is this DIY, we want you to prepare yourself- once you start using contact paper, you're never going to stop! You can find it at your local craft store or Target (Although Amazon has great prices and variety). For this look in particular, we used a white marble design. Additionally, we definitely recommend using a shard or fairly new blade for this project as you don't want the contact paper to have uneven edges when applying. Okay, now that we've gotten that stuff out of the way, let's get this party started! Prep is the biggest part of any good project. Clean your vase or platform (and hands!) of any debris or stickers (if you don't, this can affect the contact paper application). Pro-Tip: DO NOT separate the contact paper from the back (exposing the sticky side) until you are ready to apply! The method in which you cut your contact paper will vary depending on the surface you want to cover. In our studio, we will usually lay the vase on its side to measure the height, cut, and then measure the width. For a square or rectangular object this part will be much easier. Double check that you've made the proper cut by holding your paper against your object and cutting any excess. Carefully peel back and expose the adhesive side of the contact paper. Sticky side down, lay the paper up against the object. Begin at one side (not the middle) and then using a firm hand (or credit card), rub the contact paper flush on the object. Now is the fun part! 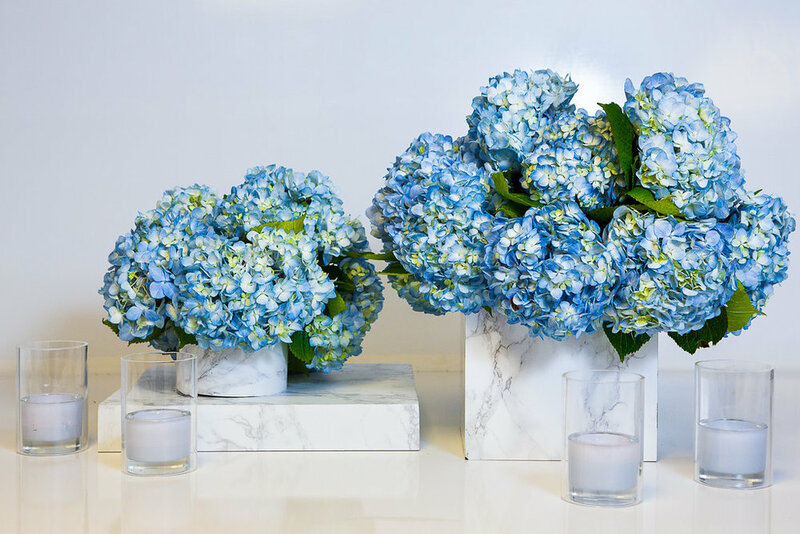 Pair this new marble look with some fun votives and fresh flowers and you're all set!!! Happy Crafting from the SY&CO. squad!